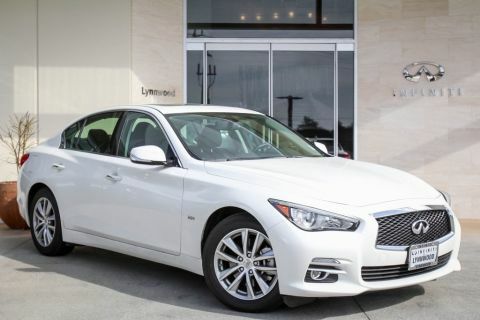 19" Smoked Polished Wheels, Tinted Windows, Technology Package (Adaptive Front Lighting System, Advanced Climate Control System, Back-Up Collision Intervention, Blind Spot Warning & Intervention Systems, Forward Emergency Braking, Front Seat Pre-Crash Seat Belts, High Beam Lighting On/Off Assistance, Intelligent Cruise Control w/Full Speed Range, Lane Departure Prevention & Warning System, and Predictive Forward Collision Warning (PFCW)), Deluxe Touring Package (60/40 Split-Folding Rear Seats, Around View Monitor w/Moving Object Detection, Direct Adaptive Steering, Dual Occupant Memory System For Driver's Seat, Maple Wood Trim, Power Tilt & Telescopic Steering Column, and Rain-Sensing Front Windshield Wipers), Illuminated Kick Plates, and Wheels: 19" Aluminum-Alloy Sport. 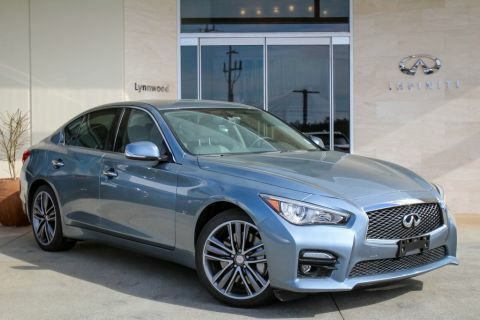 There is no better time than now to buy this terrific 2015 INFINITI Q50. 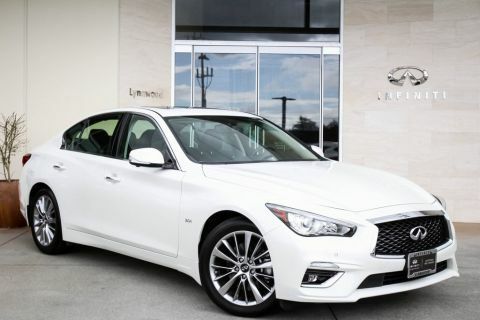 This outstanding INFINITI Q50 is just waiting to bring the right owner lots of joy and happiness with years of trouble-free use. 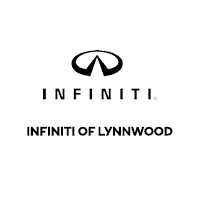 You may qualify for additional rebates and incentives based on employment and if you finance with INFINITI.